Ambry Genetics provides testing for CF mutations, screening of CF mutations, plus Poly T Variant analysis, and direct DNA sequencing of exon. The Challenge: Create a secure iPad App solution to manage all marketing content for two separate stakeholder groups during Trade Shows, where prospects can easily browse and instantly email PDF brochures to anyone. The final result was an interactive experience where customers could gain more knowledge about Ambry Genetics’ 6 different departments; Cancer, Cardiology, General Practice, Neurology, Microarrays & Exome and Community Outreach. 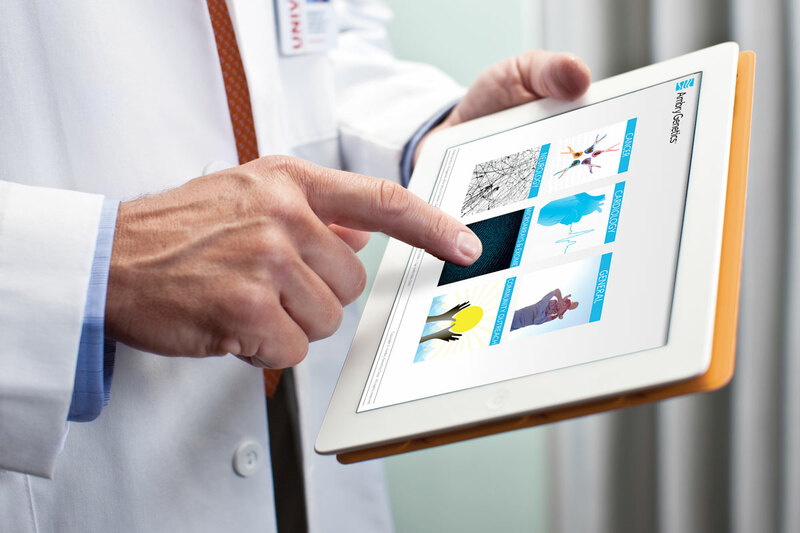 Complete with over 150 pieces of content including PDFs, videos and case studies, the Ambry Genetics Command.App solution proved to be a great way to highlight the company’s offerings.